We're rounding out the fifth week of the Six Ingredient Challenge! If you haven't yet, remember to link up your responses to last week's writing prompt and read and reflect on next week's writing prompt sometime before next Thursday. If you're joining us today, there's still a little time left to sign up to follow along with the challenge! 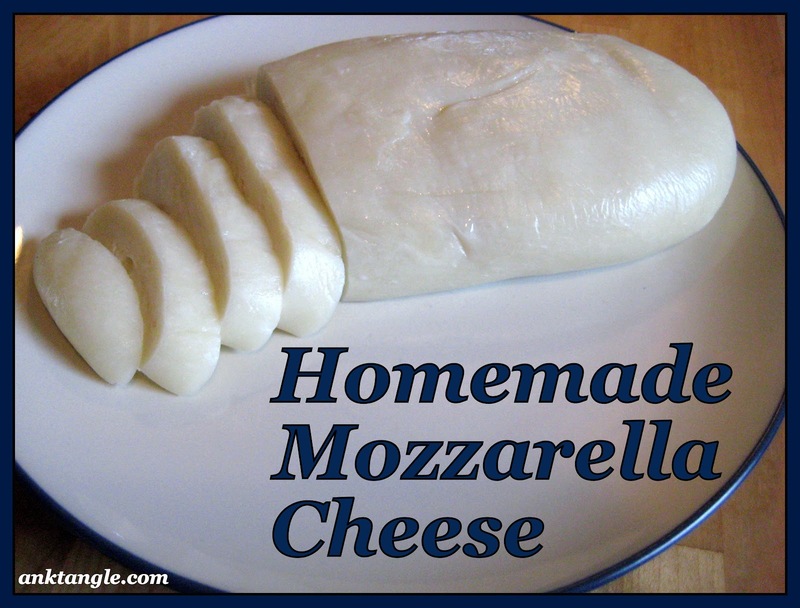 Today at Anktangle, Amy is sharing a simple recipe for making homemade mozzarella cheese. This delicious soft cheese comes together in just 30 minutes, and it's a fun process, too! Bonus: The whey produced when making cheese can be used for many different recipes and household tasks.